I’ve had a few repeat clients with an aggressive demand. Few of them had even tried to motivate me by reemphasizing the nature of my business. If I don’t create enough deals per month that I might end up going out of business and I might have to look for a real job. Although, the facetious or joking manner in which this was said, I still respect the reminder. I am always willing to help in any way I can; I always strive to help well beyond the duties as an agent for my clients. As a I licensed real estate broker, I am bound by the rules and regulations set forth by the department of real estate. I wish there was an imaginary button I can press to grant any demands my clients’ make regardless how ridiculous it may be. One of the demands that I always hear from my repeat clients, time and time again, is to purchase another property as an owner occupied type of mortgage with an intent to rent it out; unfortunately, this is mortgage fraud. They clearly understand from our previous transactions that in order to achieve the best mortgage offers, such as a lower interest rate, lower down payment is to purchase as an owner occupied, rather than as an investment home. But this clearly entails the buyer has to live in the property, unless a few different scenarios are in play 1) a family has outgrown their home and wants to move up to a bigger home to accommodate the size of the family, 2) an older family whose kids have grown up and moved out, and needs a smaller place just for the older parents, and 3) a second home is purchased at least 50 miles or further from their current home. Otherwise, if a larger family tries to purchase a smaller property than they currently own, it screams investment property in the eyes of a mortgage underwriter. The upgrade or downgrade of a home has to make sense, otherwise if they want to continue with another purchase it would have to be an investment home, or sell the existing property. Despite the attempt to try to make my client understand the process, some of them are convinced there is a way to purchase an investment property as an owner occupied home and, somehow, it will not be a mortgage fraud. 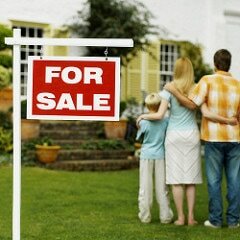 In the end, I politely tell my clients that I am more than happy to help in finding another home for them. I just ask to have them give me the approval letter from their lender, so we can get started right away. More often than not, when my clients are interested in another purchase, they could actually afford to purchase multiple investment home the legal way. It’s just concerning when a client asks about a topic on how to circumvent the law. But I realized that if they’re asking or even entertaining the idea they of another purchase, they probably have the means to do so. They are just looking for the most beneficial way and more for less money. It pays to be patient. Improving the quality of life by design.